At least 20 local and international hikers are expected to trek from Jos to Bokkos, a distance of approximately 70kms (40 miles) preaching peace to local communities. 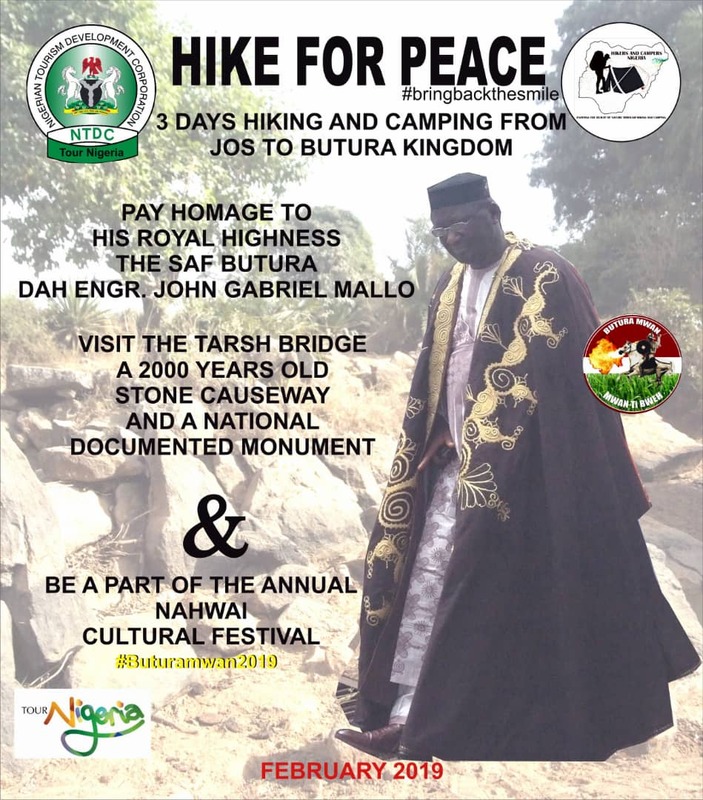 The exercise tagged "Hike for Peace" is part of activities marking this year's Nahwai otherwise known as "Butura Day," a cultural festival of the Butura people in Bokkos Local Government Area of Plateau State. The hikers organizers say are mainly volunteers who are committed to promoting peace. Chairman of the Festival planning committee, Mr. Ibrahim Makut told MKB that the hikers will make various stops at communities located along the main road to Bokkos sensitizing people on the need to maintain peaceful coexistence. All leaders of the identified communities have been notified and have pledged their cooperation and support, he said. The hiking expected to commence next week Wednesday from Stanel Oil filling station along Lamingo road would climax at Butura Gida, the traditional stool of the Butura people in two days. The hikers had held a three-day orientation course at the Jos Shere Hills during the 2018 Christmas season and are ready for the exercise, it was learnt. Hiking was initially not a part of the Nahwai festival but was introduced by the current village Chief of Butura, Engr. Dr. Gabriel Mallo, a renowned international businessman and chairman, Bejafta Group, makers of Bejafta fertilizer. Dr. Mallo is believed to have thought out the concept out of of commitment to peace and community development. He ascended the throne of the largest Ron ethnic subgroup in 2016, succeeding Mr. Mabur Wangai who died after decades of reign. Mallo is believed to be one of the youngest village Chiefs in central Nigeria, and one who has exhibited matchless passion for youth and community development.